A red alert has been sounded across Jammu and Kashmir after 11 close relatives of J&K Police personnel were abducted in 24 hours’ time in South Kashmir. It is for the first time in the 29 years’ history of militancy in the state that terrorists have dared to execute such an act. Seven abducted family members of policemen, including the nephew of DSP Mohammad Syed Shah, were, however, released in the evening. Terrorists had abducted them from their houses last night. Their release, which was confirmed by the ADGP (Law & Order) Munir Khan, comes following passionate appeals by their parents. Heavily armed terrorists from Hizbul Mujahideen reportedly barged into the houses of policemen at various places in South Kashmir on Thursday night and abducted their close relatives. 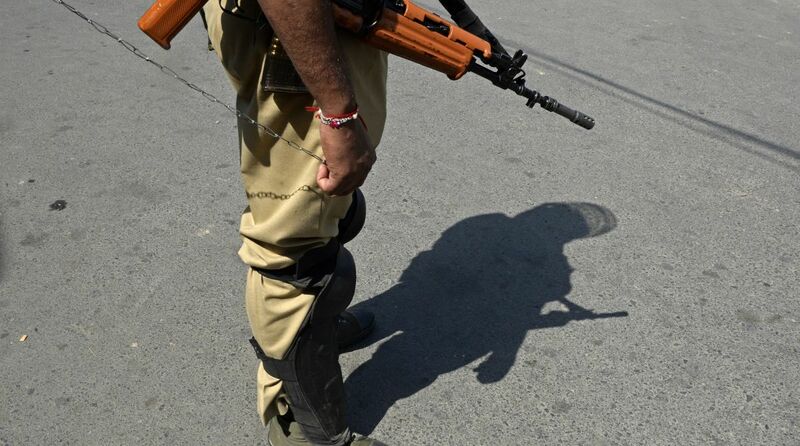 Relatives of the DSP and an SHO were among those abducted. The CRPF, police and various central and state intelligence agencies have launched a massive combing operation to trace the kidnapped people who are mostly sons, fathers and brothers of policemen. Nephew of DSP Shah, identified as Adnan Ashraf Shah, was abducted last night from Shopian. Nine of the abducted persons have been identified as, Zubair Ahmad Bhat, Arif Ahmad Sankar, Faizan Ahmad Makro, Sumar Ahmad Rather, Gowher Ahmad Malik, Zahoor Ahmad Zargar, Mohammed Shafi, Naseer Ahmad Mir Midoora, and Adnan Ashraf Shah. These abductions have been condemned by the common people as well as the mainstream parties while pro-Pakistan separatists have maintained silence over the situation so far. Militants and forces victimising each other’s families is highly condemnable and marks a new low in our situation.Families shouldn’t become casualties and made to suffer for something they have little control over. The police has so far not come out with details of these abductions and only said “some incidents of abduction” had come to the notice of police in South Kashmir. “We are ascertaining details and circumstances. In due course it shall be placed in public domain,” said an officer. The news of the abductions came as a shock for the public on Friday morning. The kidnappings in Anantnag, Kulgam, Pulwama, Shopian and Awantipura came on the day when the National Investigation Agency (NIA) arrested Syed Shakeel Ahmad, son of Pakistan-based global terrorist and Hizbul Mujahideen chief Syed Salahuddin, in connection with a case of terror funding. The police had rounded up relatives of several terrorists following the abduction of a CID officer’s son Asif, an agriculture graduate, from Tral. The abductions are also believed to be in retaliation to the detention of the father of a top terrorist, Riaz Naikoo, following the killing of four policemen in Shopian. Terrorists had fled with their rifles. Naikoo in his videos has been threatening Kashmiri policemen and their informers with dire consequences. The police believe the kidnappings were pressure tactics by the terrorists. The spate of abductions comes days after security forces conducted multiple raids and arrested relatives of some terrorists in the area. Relatives and friends of the kidnapped persons have appealed to the terrorists to release the innocent people.